IndustryTap has written about how sunscreen kills coral reefs and about how underwater robots are helping coral reefs recover. New atmospheric temperature data suggests the conditions that are hurting reefs are only getting worse. In fact, 2015 brought the worst coral bleaching event in history. Scientists now believe bleaching of coral reefs around the world is being caused by global warming and the Pacific Ocean’s El Niños. Coral reefs tend to thrive in cooler waters and today’s abnormally hot temperatures are creating “ghost towns” beneath the waves. Changing weather patterns worldwide are affecting coral reefs, but not all reefs systems are in peril. Some reefs, known as “bright spots,” are doing well and are being studied to help determine ways that unhealthy reef systems might be rehabilitated. 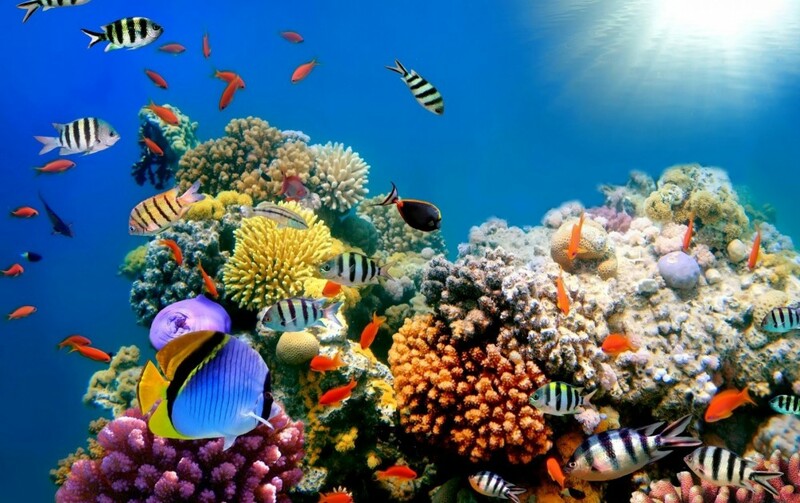 An important thing to keep in mind is that coral reefs are just one part of the world’s oceans that are being adversely affected by climate change. According to experts, damaged reefs might be just the tip of the iceberg. One organization helping in the monitoring of coral reef ecosystems is the National Oceanic Atmospheric Administration (NOAA) and its Coral Reef Conservation Program. Recent work by NOAA scientists suggests that new deep learning computer software is getting better at identifying the best and worst places for healthy reefs. This is done by training computers to “see” and identify healthy and vulnerable coral reefs from satellite images and then to analyze previously recorded databases of ocean surface imagery to map all the world’s coral reefs. 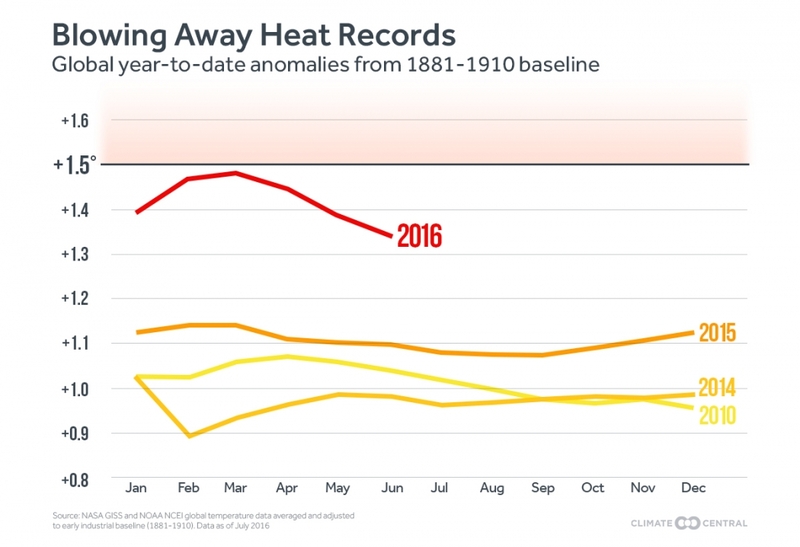 The following image shows how 2016 is “off the charts” with respect to heat in the atmosphere, which also makes the oceans warmer. The following video explains why 2015 was the worst year on record for coral reefs.